This entry was posted on Sunday, March 24th, 2013 at 1:27 pm and is filed under Farming. You can follow any responses to this entry through the RSS 2.0 feed. You can leave a response, or trackback from your own site. I would love to have some turkeys. I haven’t talked Michael into it yet! 🙂 Beautiful birds. They are pretty painless to keep. We enjoy watching them. 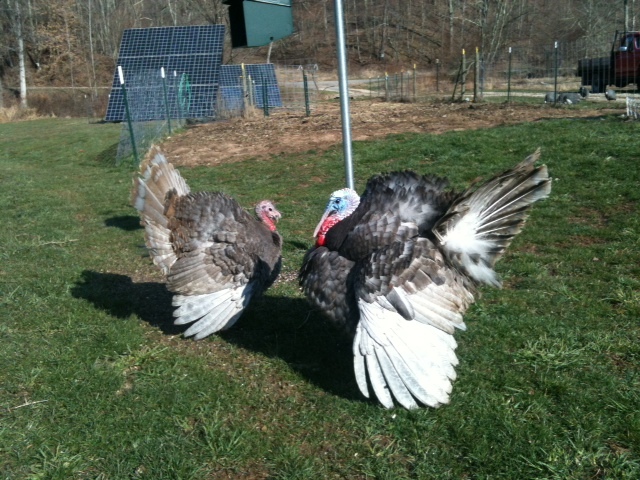 Beautiful feathers and the turkeys lol! Yea, they like to show.